If the Colorado River District dammed the Crystal River, would anyone want to buy the water stored behind the dams? Probably so, according to Kerry Sundeen of Grand River Consulting, with large landowners along the Crystal River seeking irrigation water perhaps the strongest potential market. On March 16, Sundeen briefed the River District water supply subcommittee and the West Divide Water Conservancy District board on the demand for, and the market for, Crystal River water delivered via the West Divide Project. In all, the consulting engineer estimated demand in 2050 at just over 200,000 acre-feet a year. The portfolio of conditional water rights now held by the River District includes 191,000 acre-feet of storage. By comparison, Ruedi Reservoir holds 102,000 acre-feet of water. One potential market for stored water from the Crystal River is the owners of ranch land in the Crystal River basin, who could already use 13,000 more acre-feet in dry years for crops and landscaping. “People will pay a lot of money for this water,” said Sundeen. While it may be a rich market, Sundeen did not think it would grow very much. “Because of conservation easements and because a lot of the ranches are being bought up by fairly well-heeled investors, we’re seeing a pretty stable irrigation base in the Crystal,” Sundeen said. Some of the larger ditches along the Crystal River below Avalanche Creek include the Sweet Jessup Canal (75 cfs), the East Mesa Ditch (41.80 cfs), the Carbondale Ditch (41.24 cfs), the Lowline Ditch (40.50 cfs), and the Rockford Ditch (35.20 cfs). With so much water flowing out of the Crystal and into diversion ditches, it means that in more years than not, the lower Crystal is running below environmentally healthy levels as set by the Colorado Water Conservation Board. Irrigators also include the town of Carbondale, which runs river water to residential areas for landscaping. 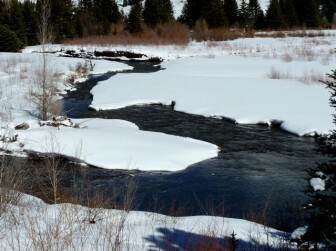 The minimum instream flow level as set by the state to protect the Crystal River’s environment to a “reasonable degree” between Avalanche Creek and the Roaring Fork River is 100 cubic feet per second in the summer and 60 cfs in the winter. “As the irrigation rights dry up the Crystal River, there is no water left for instream flow maintenance,” Sundeen said. To meet the instream flow level as set by the state, another 27,000 acre-feet of water needs to run down the river. “That’s a big hole,” Sundeen said. 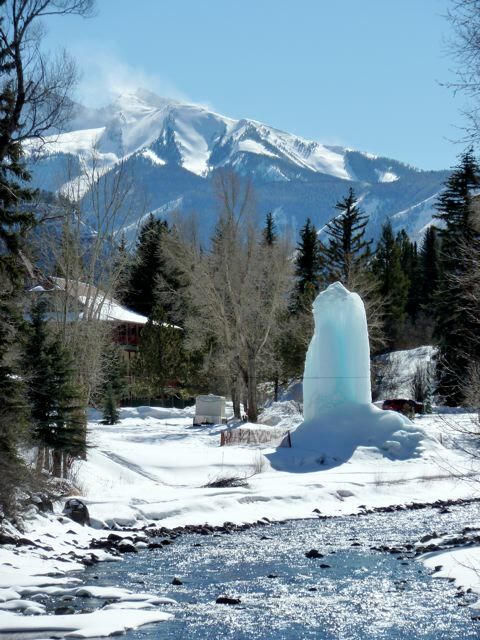 A 2003 study by Grand River Consulting found that at its confluence with the Roaring Fork River, the Crystal River usually runs below instream flow levels during the months of August, September and October. Between 1955 and 2000, the Crystal ran low in August in 30 out of those 45 years. The river ran low in September in 34 of the years. It ran low in October in 20 of the 45 years. So while there is a need for more water to simply run down the river to the benefit of the river’s ecosystem, the water market does not typically see value in that. The upper Crystal River flowing below McClure Pass. Ranchers on the dry mesas south of Silt and Rifle may also drive demand. Studies of the need for water in the West Divide Creek and Mamm Creek areas on the mesas estimated an irrigation shortfall of about 20,000 acre-feet to 25,000 acre-feet a year, Sundeen said. The West Divide Project was originally conceived as a transbasin diversion – to take water from the Crystal River basin and run it to the Colorado River basin, skipping the Roaring Fork River in the process. The water was to be run to the mesas through canals, siphons and tunnels. There may also be demands from the regional energy sector. “Most recent numbers for oil shale show a 100,000-acre-foot plus demand, but most of that is on the Yampa and the White and it calls out a 10,000-acre-foot demand on the Colorado, which is where this project would give water to,” he said. And beyond oil shale demands, Sundeen said that another 70,000 acre-feet of water would likely be called for, according to a recent state water supply study. Add it all up, include some other expected municipal and industrial demands, and “you come up with a demand somewhat over 200,000 acre-feet basinwide in the year 2050 for all of these uses,” Sundeen told the two water boards. Next month, the Colorado River District board intends to vote on the contents of a required diligence filing with the state water court. This information about the potential demand for water could well be a factor in the amount of conditional water rights associated with the West Divide Project that the River District tells the court it is still working to perfect. After Sundeen’s briefing, the water boards voted to go into executive session to discuss the diligence filing due in May.